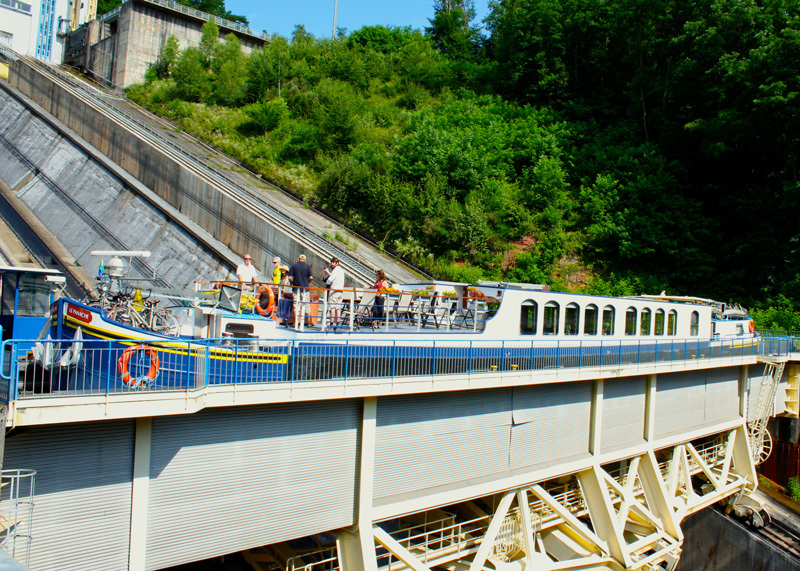 Guests are met in Strasbourg** and transferred to La Nouvelle which will be moored in Nancy. After a champagne welcome we set off for a short cruise to Laneuville. Tonight, enjoy your first of many gourmet meals on board. We cruise during breakfast this morning, then a short drive to Nancy for a walking tour of the city beginning at the elegant Place Stanislas. Flanked by handsome Baroque palaces and enclosed by ornate gold and wrought iron entry gates, the square is considered one of the grandest in all of France. The Art Nouveau movement originated in Nancy and we have the opportunity to visit the Musee de l’Ecole De Nancy to see its fine collection. Return to the barge for a leisurely afternoon cruise to Lagarde. Dinner on board. Enjoy breakfast on board. After a morning cruise past tidy farms and pasturelands we reach Richecourt, our last lock “climbing up”. The lock of Richecourt replaces 6 old locks and has an elevation of 15 meters. After passing this lock, we then cruise on to Xouaxange. After lunch, drive to one of the local Cristalleries where fine crystal is still blown by hand. Then continue to Sarrebourg to have a look at the famous Chagal stained glass windows. Dinner on board. After breakfast we continue along the canal we have been gradually climbing, to reach the crest of the Vosges Mountains. After navigating two tunnels carved into the mountaintop, we will encounter the Arzviller boat elevator. 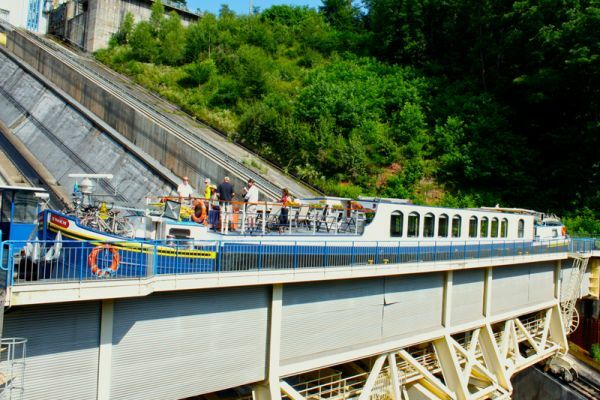 This unique lock allows a barge to glide effortlessly up or down the mountainside using a sophisticated system of weights and balances. We continue the cruise through the Zorn Valley where the surrounding hilltops are dotted with ruins of feudal castles. 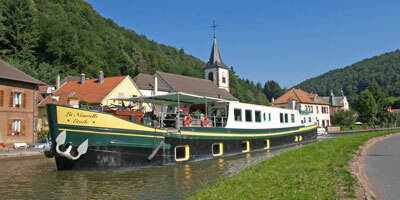 Our overnight mooring will be in Lutzelbourg. Dinner on board. We wind through the heart of Saverne, past the regal 18th century Bishop’s Palace in the heart of the Alsatian countryside. 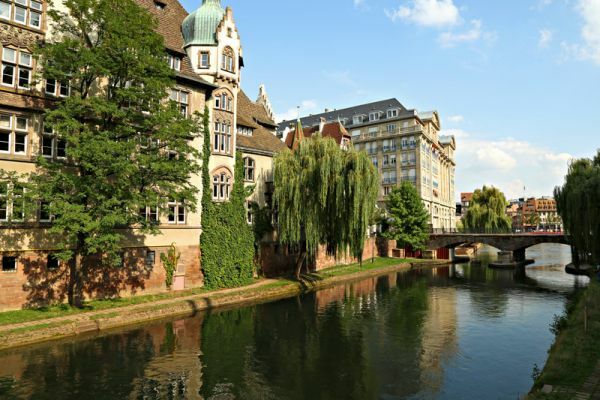 From Saverne, we take an afternoon drive along the Route du Vin d’ Alsace to the old fortified town of Obernai where we visit the market square and 14th C ramparts that surround the city. Enroute, we stop at a vineyard to taste some of the best Alsatian wines. Dinner on board. Today we end our cruise in Hochfelden just on the outskirts of Strasbourg. 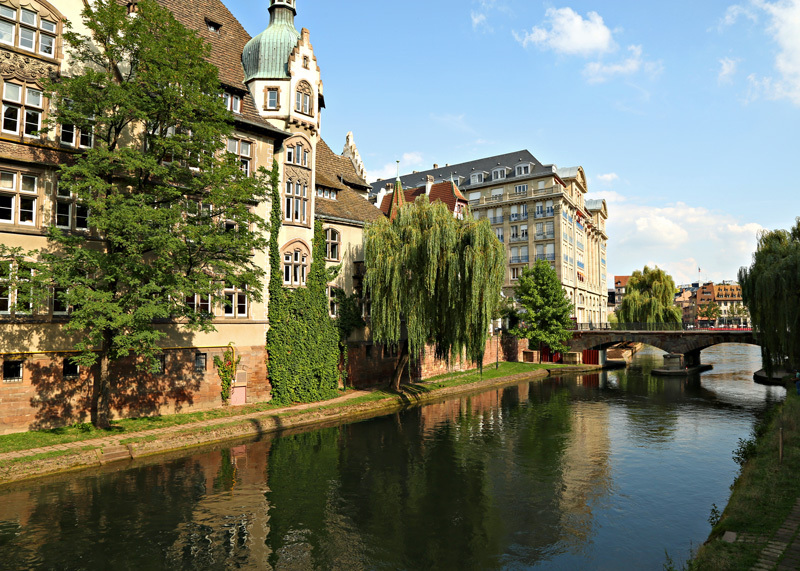 Our afternoon tour of Strasbourg includes the folk museum and the 11th century gothic cathedral, leaving enough time to stroll around to explore the fine selection of shops. Captains farewell dinner onboard. After breakfast, disembark La Nouvelle Etoile and transfer to your drop-off point in Strasbourg.